Are you tired of cookie cutter boats that everyone has? Are you looking for a piece of history that you can customize to your needs and taste? 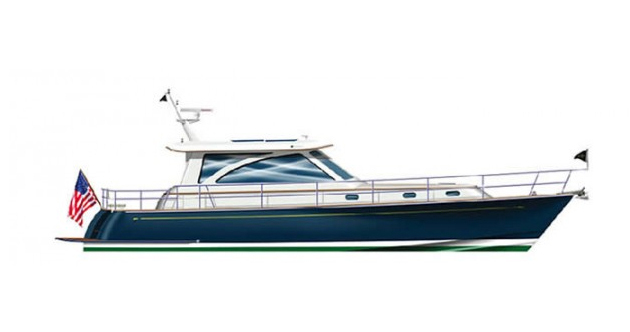 This Hunt Surfhunter Restomod by Yachting Solutions is the answer. 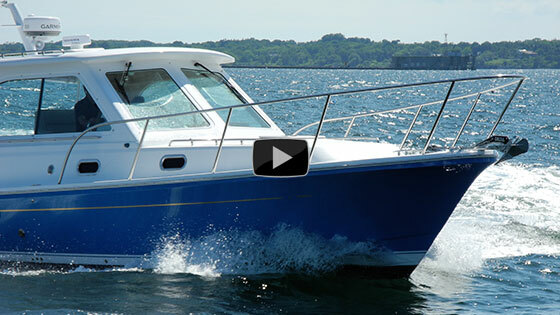 You can combine the best of modern technology and classic looks with this beautiful mini yacht. At this time you can make this boat whatever you want her to be. Imagine being able to affordably design a boat to your specifications. Now is your chance. The YS Custom Culture is not for everyone but it may be for YOU. Safety gear - (4)Type II PFD lifejackets in bag; (1) fire extinguisher; (1) hand-held canister airhorn; (1)throwable floating device (square cushion); (2) plastic whistles; (4) hand-held flares;flashlight with batteries; basic first-aid kit; spare fuse kit. 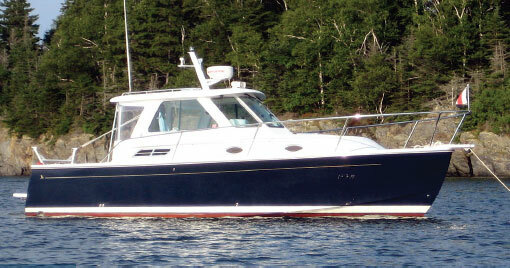 Yachting Solutions, LLC hereby warrants to the original Buyer of the Boat, subject to the exclusions, limitations and conditions set forth below, that each of the (a) hull and deck structure (b) components and parts which are not covered by a third party manufacturer’s warranty and (c) components and parts manufactured by Yachting Solutions, LLC, will be free from defects due to substantial material or workmanship under conditions of normal recreational consumer use. 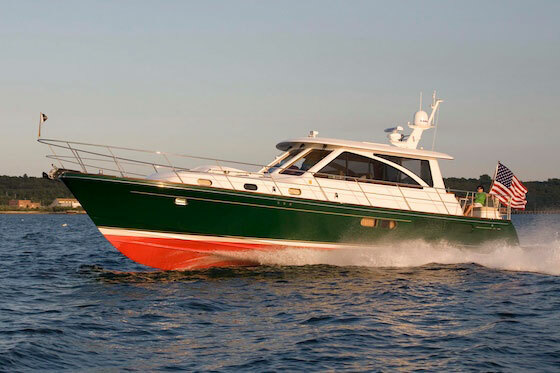 The warranty on the hull and deck structure shall be in force and effect for a period of 5 years commencing on the date of title to the boat transfers to the Original Purchaser from Yachting Solutions, LLC (the “Warranty Commencement Date”). The warranty on (i) components and parts which are not covered by a third party manufacturer’s warranty and (ii) components and parts manufactured by Yachting Solutions shall commence on the Warranty Commencement Date and expire on the first anniversary thereof. Yachting Solutions, LLC also warrants to the Original Purchaser of the Boat that the portion of the hull below the waterline is free from cosmetic blistering for a period of 5 years from the Warranty Commencement Date. (A) In order to maintain coverage under this warranty, the Boat must be properly maintained and repaired in accordance with Yachting Solutions, LLC recommended maintenance program, on an annual basis, and prescribed by Yachting Solutions, LLC. Yachting Solutions, LLC strongly advises that all recommended repair and maintenance be performed by Yachting Solutions, LLC. the benefit of any applicable third party warranty in order to facilitate any claim by the original Buyer under such warranty. (C) Expenses for hauling out, launching, and transportation of the Boat to and from Yachting Solutions, LLC Boat Yard are the sole responsibility of the boat owner. 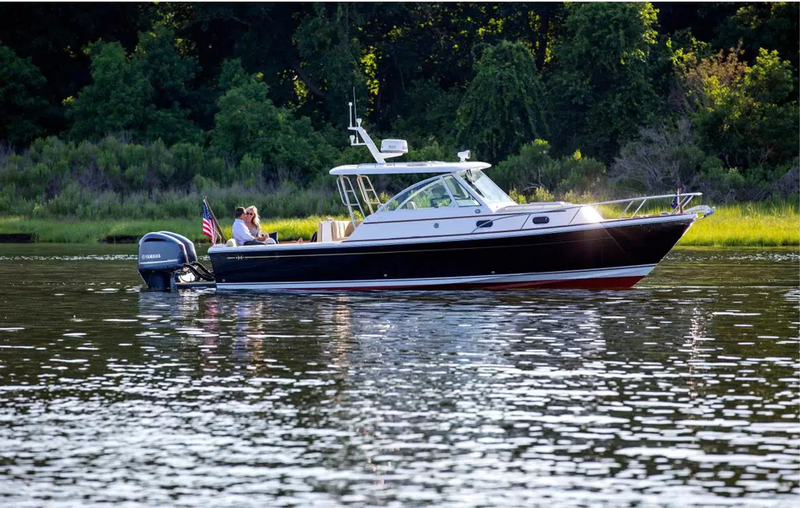 Expenses for the owner’s transportation to and from the Boat or to and from Yachting Solutions, LLC Boat Yard are the sole responsibility of the boat owner. (D) This warranty specifically excludes damages from normal wear and tear, casualty, accident, abuse, misuse, improper storage, improper maintenance, neglect, modifications or alterations of the hull or deck and unauthorized repairs. (E) This warranty specifically excludes cosmetic items and finishes including, paint, varnish, gel coat; chromium plated finishes, discoloration, chalking, cracking and fading or stress lines. (F) This warranty specifically excludes windshield breakage and any other glass damage. (G) This warranty does not apply to the hull and deck structure (floors, stringers, motor mounts, transom, all deck and hull joints) or accessories which have been subject to alteration, unreasonable use, improper storage or maintenance, neglect or accident. (H) This warranty does not apply and shall immediately become null and void in the event the Boat is used for commercial or racing purposes. (I) OTHER THAN AS SPECIFICALLY SET FORTH HEREIN, THERE ARE NO OTHER WARRANTIES. YACHTING SOLUTIONS, LLC SHALL NOT HAVE ANY RESPONSIBILITY FOR LOSS OF USE OF THE BOAT, LOSS OF TIME, INCONVENIENCE, TRAVEL EXPENSES, HAUL OUT EXPENSES, BOAT PAYMENTS, STORAGE CHARGES, LOSS OF OR DAMAGE TO PERSONAL PROPERTY, COMMERCIAL LOSS OF CONSEQUENTIAL DAMAGES. Some jurisdictions do not allow exclusion or limitation of incidental or consequential damages, so the limitation set forth in this clause (I) may not apply. (J) The benefits afforded under this warranty will not be honored by Yachting Solutions, LLC at any time when there are outstanding balances due to Yachting Solutions, LLC for storage fees or any work related to the Boat. is the boat owner’s sole remedy under this warranty. Yachting Solutions, LLC disclaims and the boat owner expressly waives, all other remedies including any right to consequential, incidental or exemplary damages whether or not based on Yachting Solutions, LLC’s negligence, defects in product or workmanship, breach of warranty, strict liability or otherwise. 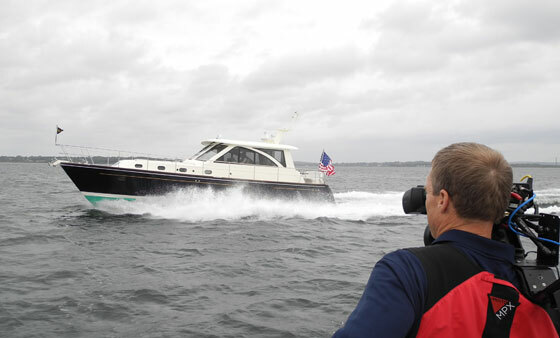 If a warranty claim is alleged by the Boat Owner and is disputed by Yachting Solutions, LLC, the Boat shall be surveyed and the surveyor shall determine whether the claim is covered by the warranty. The survey shall be performed by an independent, registered marine surveyor, mutually agreed to by the Boat Owner and Yachting Solutions, LLC. If the Boat Owner and Yachting Solutions, LLC, cannot agree upon a surveyor, then the surveyor will be appointed by the Yacht Brokers Association of America. The cost of such a survey, shall be borne as follows: by the Boat Owner in the event the surveyor concludes that the defect, flaw, or repair is not covered by the terms of the limited warranty as described herein, or by Yachting Solutions, LLC in the event the surveyor concludes that the defect, flaw or repair is covered by the terms of the limited warranty as described herein. Yachting Solutions, LLC reserves the right to improve its products through ongoing changes in design or material without obligation to incorporate such changes on boats of prior manufacture. This warranty is not assignable unless Yachting Solutions, LLC has specifically agreed to such assignments, in its sole discretion. Assignment of this Warranty without consent shall automatically discharge Yachting Solutions, LLC of any of its obligations hereunder.